Sermorelin - also known as GRF 1-29 NH 2 which stands for Growth Hormone Releasing Factor with the numbers indicating the amino acid chain that is responsible for the effect of the Sermorelin. Sermorelin IS NOT HGH; Sermorelin works by promoting the secretion of Human Growth Hormone (HGH) from the pituitary gland. Sermorelin use leads to the preservation of youthful anatomy and physiology without the possible harmful side effects associated with HGH administration. Sleep, a quality that deteriorates with age, plays a very important role in the amount Human Growth Hormone our body produces. 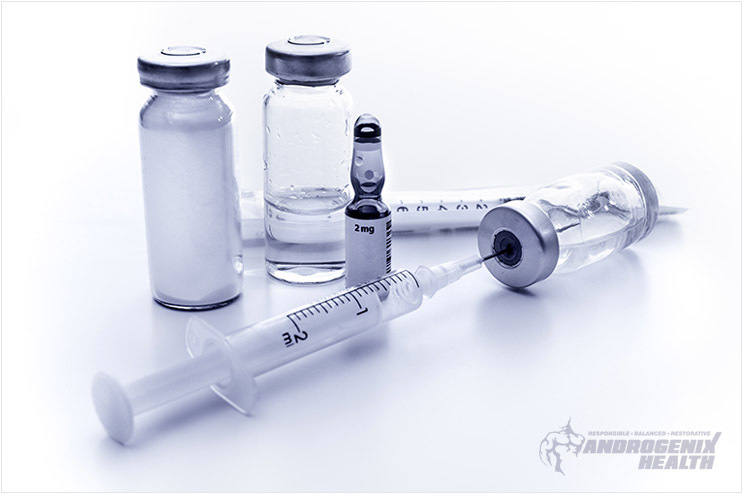 The majority of our natural HGH production is known to occur during deep sleep. Because the body produces HGH dur-ing deep sleep, less hours of sleep and poor sleep-ing patterns result in a low production of HGH. Sermorelin Therapy promotes longer, deeper sleep and improved sleeping patterns. Production of HGH during the sleep cycle becomes dramatically improved. This deep restful sleep and increased production of HGH enhances the body's ability to better recover and regenerate from daily life and exercise. The function of Sermorelin is to stimulate pituitary function; the pituitary gland regulates the amount of HGH production. This increases the safety and minimizes the side effects. Eventually, through the administration of Sermorelin over several months time, your own HGH production is revved up and you can reduce your Sermorelin treatments. Sermorelin use leads to the preservation of youthful anatomy and physiology without the possible harmful side effects associated with HGH administration.